I’m hosting Ann Lister today on my LJ as part of her blog tour with Creative Minds Promotions and Dani CM for her new release Meant for Me. There’s also a rafflecopter giveaway. 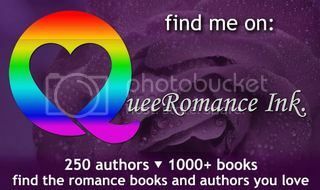 I’m interviewing K. Lynn on my LJ today. Her new release His Womanly Ways releases from Torquere Books on 27th May. I’m hosting Erin McRae and Racheline Maltese on my LJ today who are blogging about their new release Midsummer. I’m interviewing Robert P. Rowe on my LJ today, and he’s sharing an excerpt from his upcoming release Second-Story Man. I’m interviewing Michaela Grey today on my LJ as part of her blog tour with Creative Minds Promotions for new release Coffee Cake. There’s also a rafflecopter giveaway. I’m hosting Louise Lyons on my LJ today as part of her blog tour for her new release The Eye of the Beholder. There’s also a rafflecopter giveaway. I’m hosting V.L Locey on my LJ today as part of her tour with Creative Minds Promotions for her new release Two Man Advantage. There also a rafflecopter giveaway.